Last week was a significant one for Scotland. Thursday 24 March was the prospective date for Scottish independence, if the 2014 referendum had gone the other way; the Scotland Act became law, devolving additional powers to Holyrood; and the annual Government Expenditure and Revenue Scotland (GERS) report was published by the Scottish Government. With the fall in oil price and ensuing collapse in North Sea oil revenues, Scotland's deficit has drastically worsened. The deficit of the UK as a whole is 4.9% of GDP; that of Scotland is 9.7%. This would have presented a serious problem for the government of a newly independent Scotland. 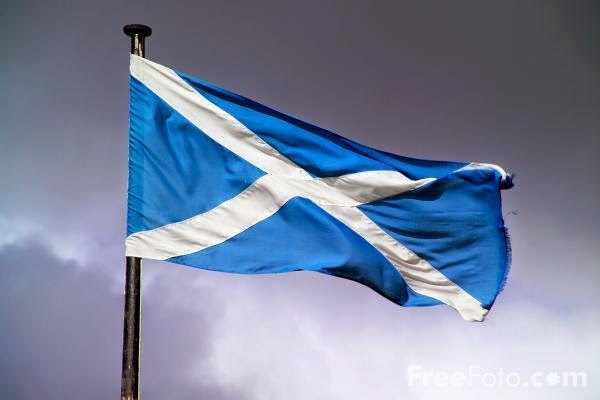 On what would have been Independence Day (March 24), it was rather disappointing but not unexpected to see dire warnings from the Tories of what would have befallen Scotland had we been an independent nation. The usage of "Tories" has evidently shifted from "supporters of the Conservative Party" to "anyone who says something I dislike." GERS is published by the Scottish Government. If the SNP Finance Minister John Swinney is now a Tory, the term has taken on a broad meaning indeed. It is quite simply impossible to use these numbers in reference to the fortunes of an independent Scotland as the whole point of independence is to gain control of all the fiscal levers so that they can stimulate the economy. The figures also relate to UK membership and would reduce on independence. For example, defence spending in 2014/15 was £3bn, and that includes our share of nuclear-weapon spending. As Orr himself observed a few paragraphs earlier, last Thursday would have been independence day. The whole point of an independence day is that, before it comes, you are not independent. Scotland would not have had full control of its fiscal policy until yesterday. The GERS figures, issued by a well-known gang of Tories led by Nicola Sturgeon, demonstrate what the starting point would have been for an independent Scotland. It would have had far and away the highest deficit in the OECD group of wealthy nations. The overall deficits for the OECD are 3.2%, and for the eurozone 1.8%. Reducing defence spending could not have rectified the situation. The UK spends 2.1% of GDP on defence. If Scotland abolished its armed forces altogether, something the SNP had no intention of doing, it would have made up less than half the deficit gap with rUK. If Scotland had wanted a currency union with the rest of the UK, as the SNP vigorously insisted, it would simply have been impossible to run this level of deficit. rUK would never consent to it, and Scotland would have no ability to compel it to do so. To maintain a currency union, the newly independent Scottish government would have had to impose tax rises and spending cuts far more drastic than anything contemplated by the current UK government. Similar considerations would have applied to joining the euro. A government with full control of its own currency can, of course, print money to finance its deficit. But a major premise of the SNP's case for independence was that, in currency terms, nothing much would change. A heavily indebted Scotland with a floating currency would face inflation, capital flight, and exchange rate fluctuations on a daily basis. It would be severely disruptive to people and businesses in Scotland -- not to mention those just over the border in Berwick or Carlisle. Scotland is not a poor country, contrary to Orr's sarcasm. Its onshore tax revenue is only slightly less than that of rUK. But it has high spending needs because of areas of high social deprivation; an older population than rUK; and the costs of providing services to remote communities. At the moment, these needs are met by fiscal transfers from rUK. An independent Scotland would have to find some other way to cope. This would involve years of widespread hardship. Exactly how the pain was distributed would depend on choices made by the Scottish government, as well as wider economic conditions. Other national independence movements have not flinched from hardship and sacrifice. American revolutionaries were proud to declare, "Give me liberty, or give me death." In contrast, certain Scottish nationalists cannot countenance the merest whisper that independence might come with costs. They are big on talk of freedom, unwilling to talk about responsibility. They are afraid it would scare off the punters. As far as public opinion goes, they aren't wrong. There are many, many ways in which the UK could be improved. In key respects, the institutions of state are secretive, unacccountable and undemocratic. The policies of the current Conservative government are inflicting severe and needless harm on the most vulnerable. Still, the UK is not such a bad place to live. It isn't Syria. It isn't even Italy. In the UN's Inequality-Adjusted Human Development Index, it ranks joint 12th out of 150: Just behind Finland (10) and Canada (11), and ahead of Austria (17), France (18), and Japan (21). Moreover, this week's Act of Parliament devolves extensive powers to mitigate the cruelty of the UK government. The SNP says it will not extend cuts to the top rate of UK income tax to Scotland. It is not unreasonable to conclude that, on balance, Scotland has a tolerable position in the UK as it stands. It's not entirely ideal, but then, how many things in this life are? The Scottish independence movement may believe the long-term rewards of independence, both material and otherwise, are worth the short-term costs. That is an honourable position, albeit a difficult one to sell to the electorate. However, it is far from honourable to pretend the costs of independence do not exist.